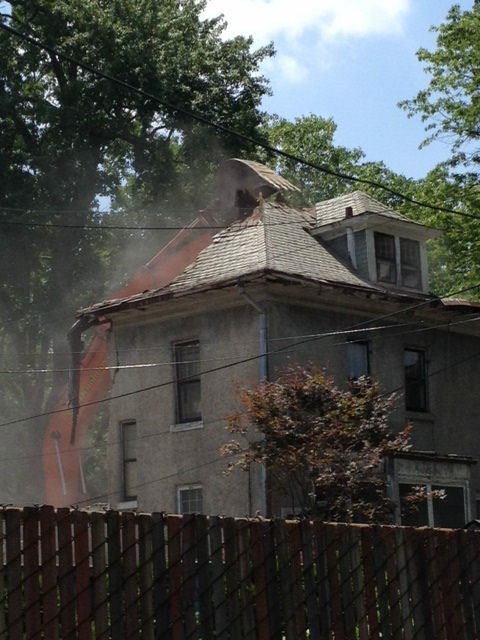 The 100-year-old home at 3823 Morrison Street, NW has been demolished in defiance of more than 200 area residents who sought to have the Arts & Crafts house restored or sold to someone who would. 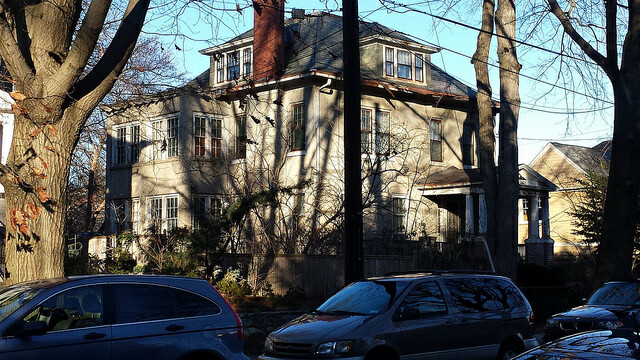 This demolition is sparking a renewed effort to obtain a historic district for Chevy Chase, DC. In addition, we learned yesterday that developer Robert Holman may have possibly sold the property (but perhaps not yet gone to settlement) to another developer. So it’s unclear what exactly will be built on the site. See below for an open letter with more details. You are purportedly getting ready to demolish 3823 Morrison Street, NW this week — a venerable 3,000 square foot, 6-bedroom, 100-year-old home in the heart of Chevy Chase DC’s oldest subdivision, that you privately purchased for $825,000 in November 2013 and which 200 area residents have asked you not to tear down. This Arts & Crafts home represents the kind of architectural gem Chevy Chase, DC is known for and that buyers eagerly seek. Our latest letter to you with 206 signatures asking you not to tear down the house can be seen by clicking on the link. For nearly six months we have been asking you to either restore the home or to sell it to someone who will. Early on you said you would sell it, first for $950,000, then for $1,000,000, and later reportedly for more. But when buyers contacted you and asked to see inside the house, it’s our understanding they weren’t able to get in. A group of protesters was out in front of the house on Sunday and was stunned at the recent destruction in the front and side yards. Concrete walkways, mature plants and metal railings have been broken up and tossed aside. The large, old tree in the front yard doesn’t seem to have any protection from this mounting debris and from an earlier dig involving the sewer line. By these actions, you appear to have little regard for the property and for community residents who have repeatedly asked you to honor their desire to save 3823 Morrison Street from destruction and to work toward a win-win solution. This 1914 home is filled with many highly prized and reusable materials — old growth wood flooring, oak paneling, pocket doors, wood and glass paneled doors, mantels, windows with antique wavy glass, century-old bricks and roofing slate and more. Bulldozing it and putting it in a landfill is environmentally destructive and wasteful. Our nation’s landfills are overflowing with construction debris that could have been recycled. Surely you understand that neighborhood residents don’t want to be exposed to airborne lead and asbestos dust that can happen when bulldozing a house. 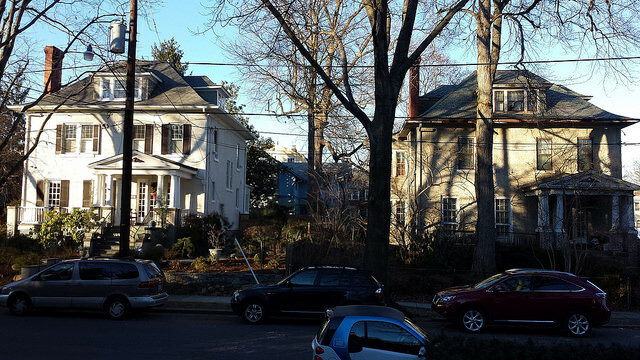 You have torn down a number of houses in Chevy Chase, DC and built larger ones in their place. (e.g. 5412 Nevada Avenue, NW; 3211 Tennyson was torn down and replaced by 3211 and 3213 Tennyson St., NW). You have also made hundreds of thousands of dollars in profit on your building projects in this neighborhood and will undoubtedly continue to do so. So why not alter your demolition plans for 3823 Morrison and work with concerned neighbors to achieve an acceptable resolution so you can go on to other less controversial projects. It would be a testament to your character and to your respect for the Chevy Chase, DC community if you did.